The iconic SL is no longer the superstar of the Mercedes lineup. But after driving the mighty 577-horsepower SL63 AMG, Road Test Editor Howard Walker blogs: convertibles don’t come better than this. Shed a tear for the poor, magnificent Mercedes-Benz SL. Once the undisputed top-dog of the open-top Mercedes lineup, these days it’s over-shadowed by the likes of the new, whipper-snapper AMG GT Roadster and an endless menagerie of C, E and S-class cabriolets. 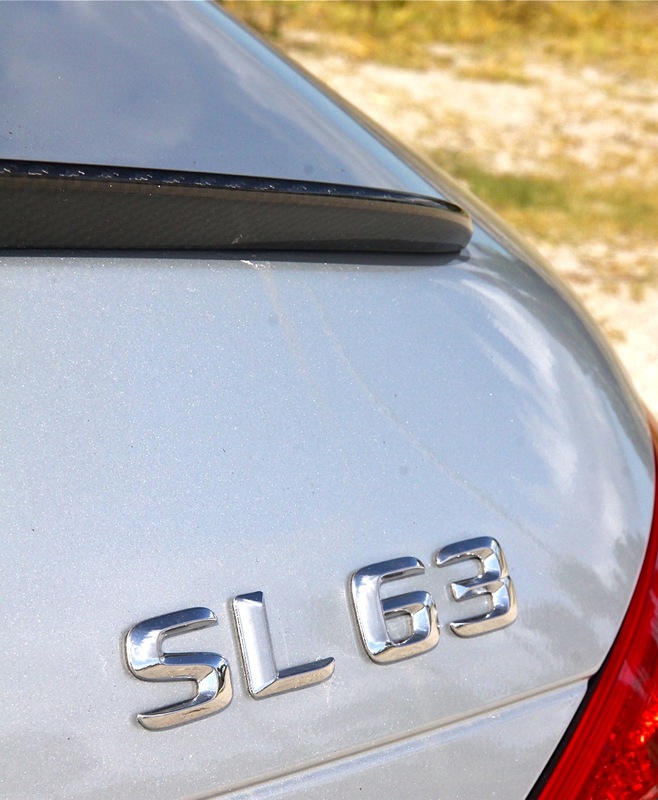 Oh, and I almost forgot the pint-sized SLC Roadster – the one formerly known as the SLK. At the last count, Mercedes offered no fewer than 16 droptops ranging from $51,200 to $222,000. And that doesn’t include a few with the option of all-wheel-drive. While it may be lost in the lineup, for me the SL is still the icon, the poster-child, the car to be spoken about in hushed, adulatory tones. After all, the first SL dates all the way back to 1957 with the mighty Gullwing. There’s rich history, and a lot of it, here. 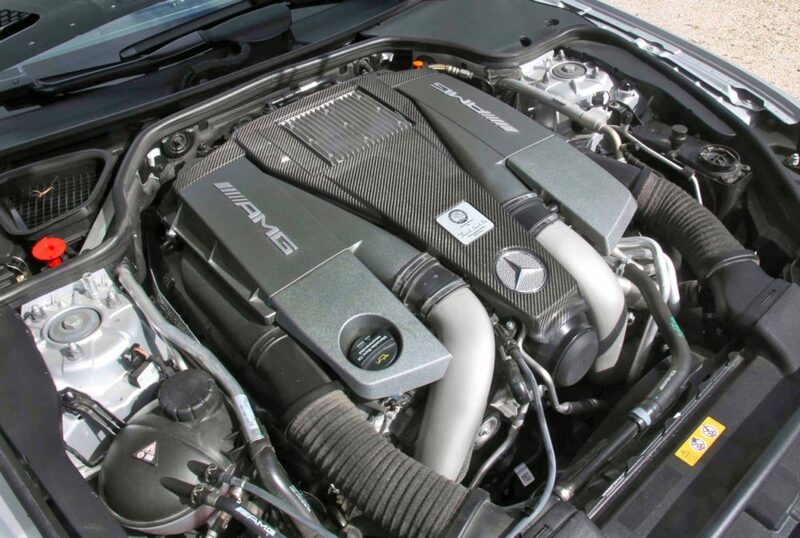 And just five minutes behind the weighty, suede-wrapped helm of the latest SL63 AMG, soaking up the tailpipe symphony delivered by its thundering twin-turbo AMG-built V8, below, will reinforce the significance, relevance and pure joy that’s the SL. These days you can savor this two-seat hardtop roadster in four distinct flavors. 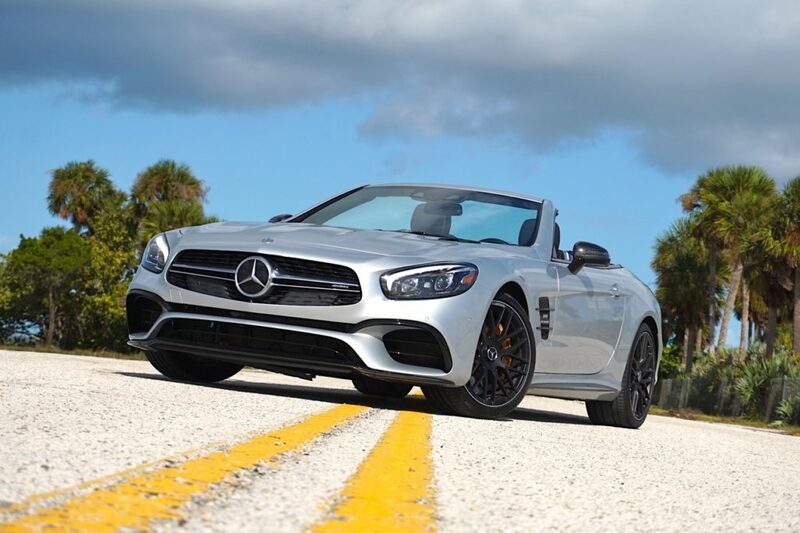 While the SL400 with its 3.0-liter 367-horse biturbo V6 might be dismissed as the bottom-feeder, it delivers all the power and performance you’ll ever need. For an attainable – for a handcrafted Mercedes – $88,200. 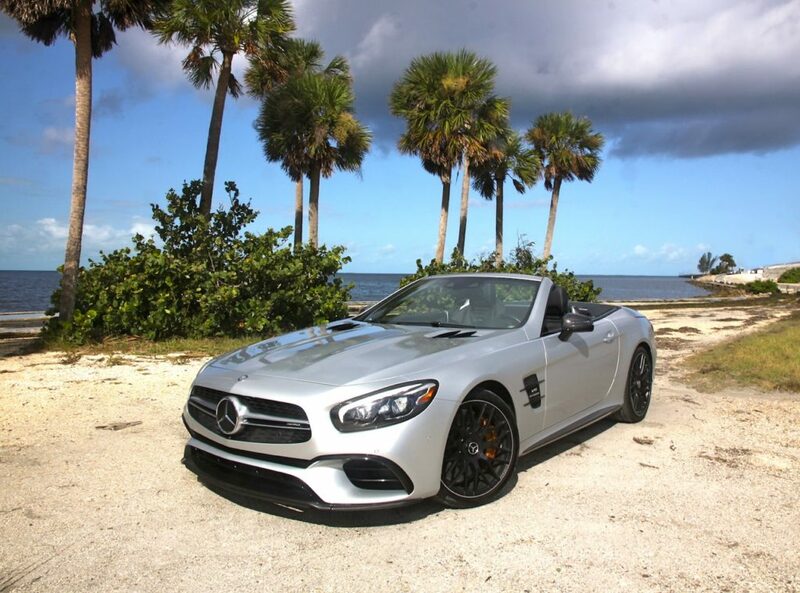 Step up to the $112,300 SL550 and you’re getting 449 of twin-turbo V8 horsepower and 0-to-60-mph sprinting in a mere 4.3 seconds. I’m sure there’s the odd Russian oligarch or Silicon Valley whizz-kid billionaire who is happy to drop $222,000 on the insane SL65 with its twin-turbo V12, but I just don’t see the point. 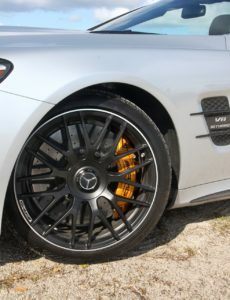 Which leaves the $151,000-and-up SL63 as, for me, the ultimate, still-crazy-fast, best-of-the-best SL derivative. And it is truly beyond awesome. I love this car. Power and performance aside, what sets the latest SL apart is its sheer practicality over something like the cloth-topped AMG GT Roadster. At the lift of a lever, the SL morphs from sun-on-your-face convertible to a snug, hardtop coupe. And that’s not its only party trick. That hardtop comes with a glass roof to add light and airiness to the cabin. Too much solar heat in the mid-day Florida sun? Simply tap a button and the SL’s wonderfully-titled “Magic Sky Control” will jiggle electrons, instantly darkening the glass. The hardtop still continues to fold with all the poise and fluidity of a Russian ballerina, rising and descending at speeds up to 25 mph. And no longer do you have to mess with the awkward luggage compartment partition; for 2017 its operation has been motorized. Top down, however, is how you pilot this latest SL63. Not just to feel the elements, but to listen to the hard-core rock concert that erupts from its quartet of quartic tailpipes sprouting from the rear diffuser. As you’d expect, the AMG-tuned 63 is a true joy to drive. Of course it’s blisteringly quick. With 577 horseys on tap and an even more impressive 664 pound-feet of torque – there are Peterbilts with less muscle – the SL catapults away from stop lights hitting 60 in just under 4.0 seconds. Even more exhilarating is the car’s mighty mid-range thrust that will rocket you past slower traffic, or slingshot you out of tight freeway on-ramps. But the beauty here is the car’s Jekyll and Hyde dual personas. Yes, it can play the full-thrust rocketship scaring the heck out of you with its supercar-like performance. But it’s equally happy and adept at burbling effortlessly around town in a high gear. And comfort is this car’s middle name. Take for example the car’s “Active Body Control” adaptive suspension that adjusts suspension firmness at the touch of a button. For the 2017 refresh however, the system gets an additional mode called “Curve Control”. This adjusts the suspension to lean the car ever so slightly into corners – kind of like a motorcycle does – to add comfort for driver and passenger. Add to this a cockpit that sets the standard in sports car comfort. From the multi-adjustable seats with that still-remarkable adaptive bolstering that holds you in place in corners, to the feel of that chunky AMG steering wheel, to the low, enveloping driving position, the SL’s cabin is a truly wonderful place to be.